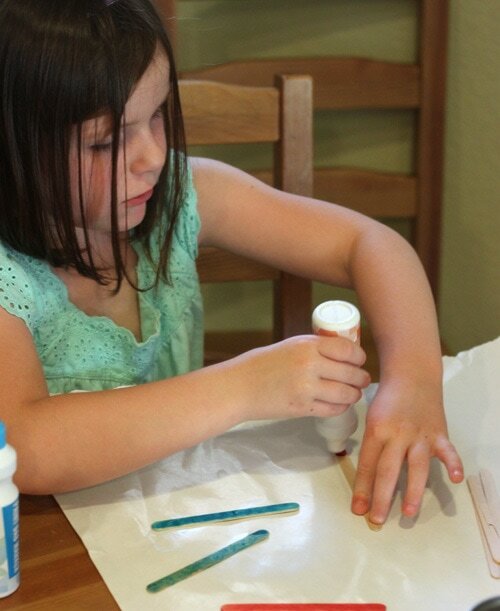 Since it’s summer, I guess I’ve got kid crafts on the brain. 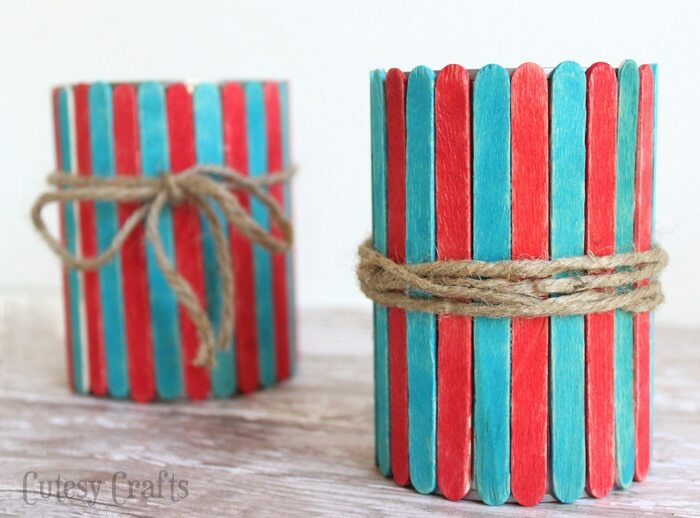 I wanted to do some kind of 4th of July craft with the kids, and I came up with these red and blue popsicle stick vases. 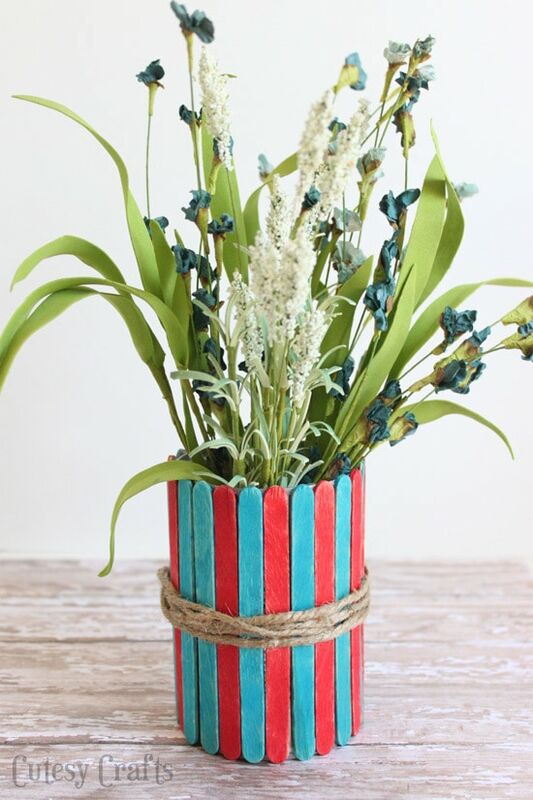 You can use them as vases for cut flowers or fill them with dirt and have the kids plant something. 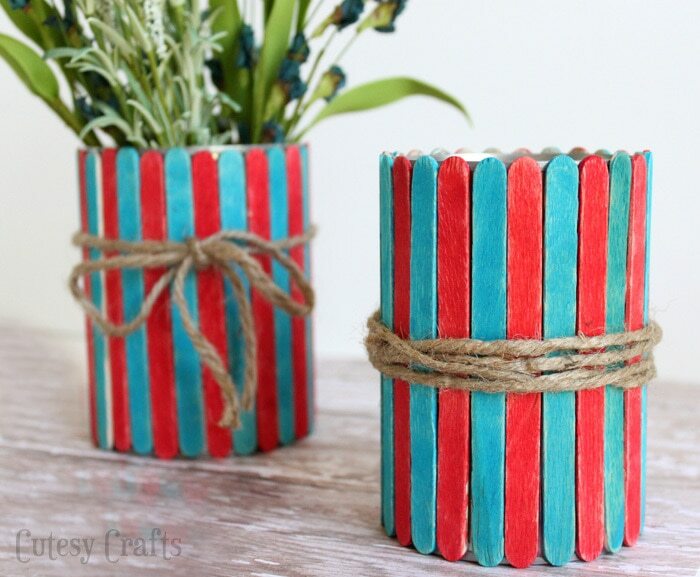 You could even use them as utensil holders for your 4th of July party! Now honestly, this is probably a craft that’s better for a kid with a good attention span. My almost five year old got a little bored with it. She finished with a little help from mom though. I liked using the markers because they created less mess and dried really fast. 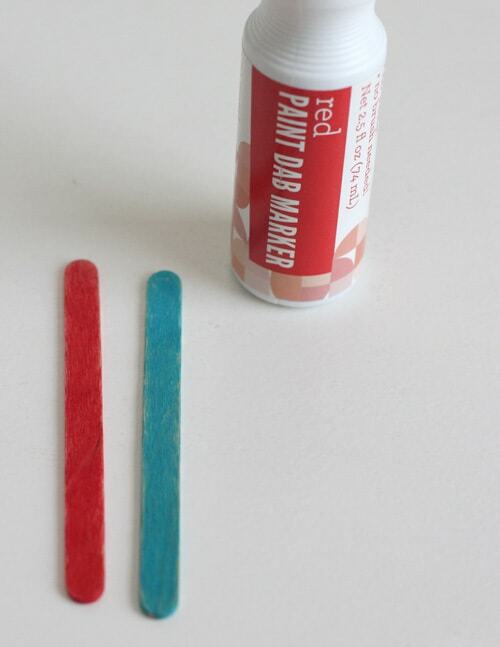 You could probably also use paint or buy popsicle sticks that are already colored. 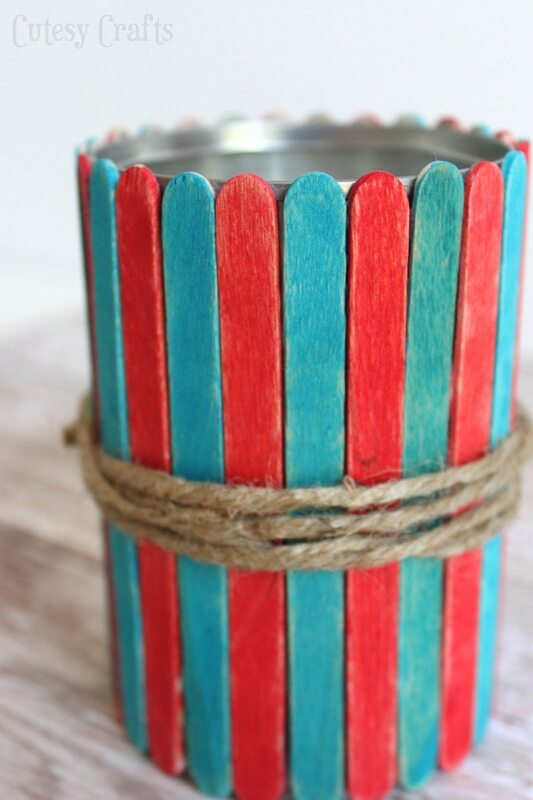 Paint the front and sides of your popsicle sticks. If you’re using the paint dab markers, make sure to tell the kids to dab them rather than drag so the markers don’t get ruined. We tried school glue for this part, but it took way too long to dry and just dripped all over. We used glue dots instead, which were actually kind of fun for the kids. Like really sticky stickers. 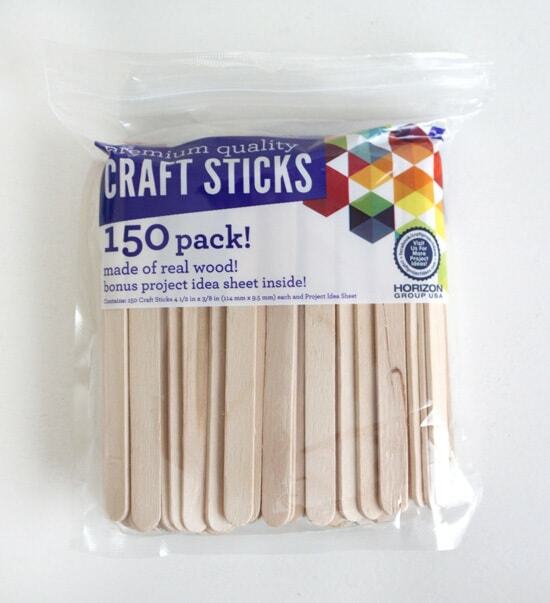 Put one glue dot on each end of the back of the sticks. 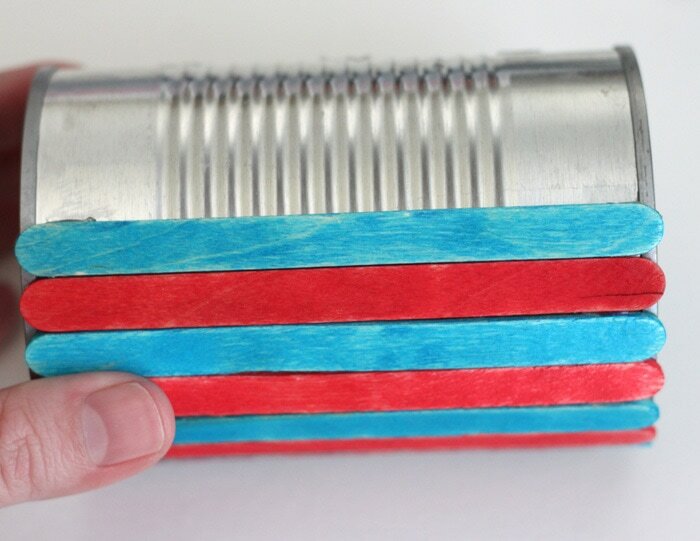 Press them onto the can making a red-blue pattern. If you run out of room and have two of the same color next to each other, that’s fine. Just make that side is the back. 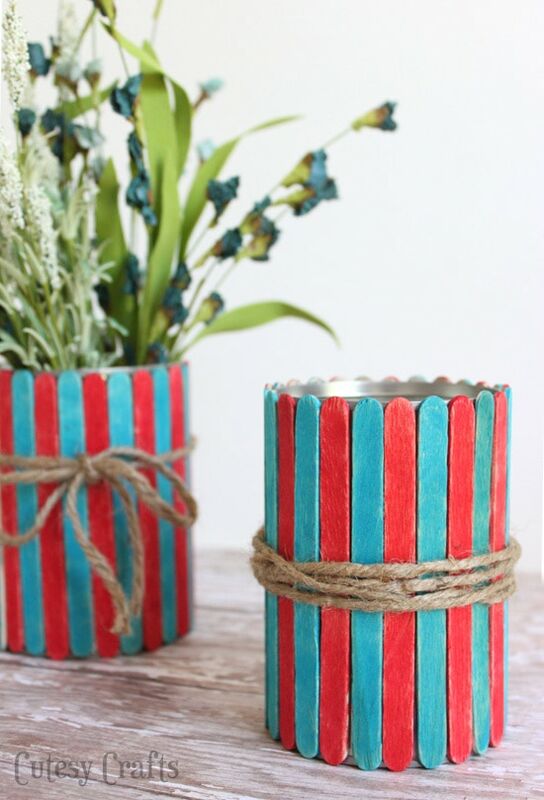 Wrap and tie some twine around the middle. Ok, these are great! They look gorgeous, and to be honest, I would use them myself. Now… lets see if I have the attention span to finish one. 😉 Oh look, a squirrel!